I am absolutely shocked that there is a pokie game based on the television show “The Osbournes”. It has honestly been about twelve years since I have seen this show, and was very surprised when I had seen that Microgaming has this game still dotting its library. The 20 payline pokie offers a wide variety of gameplay, but is it any fun? Graphically, The Osbournes pokie is a bit dated, but still looks pretty decent when all things are considered. There aren’t any photos used here, as everything is all hand drawn. This is my biggest complaint with this pokie, as things just look a little too cartoonish to me. But considering the outrageousness of this family, perhaps a cartoon is the best representation of things.Graphically, The Osbournes pokie is a bit dated, but still looks pretty decent when all things are considered. There aren’t any photos used here, as everything is all hand drawn. This is my biggest complaint with this pokie, as things just look a little too cartoonish to me. But considering the outrageousness of this family, perhaps a cartoon is the best representation of things. Animation wise, this pokie actually does a pretty solid job. Every symbol in the game is animated when a win is triggered, and characters like Jack or Sharon look pretty snazzy when they move. 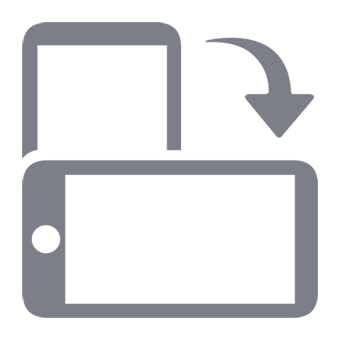 Ozzy is the highlight here, as his yell and noise are trademarks that are accurately captured in this online pokie. Graphically this game looks pretty good, as I am assuming that it is pretty old given the subject material. Is it the best looking pokie in the world? No, but it does look pretty solid all things considered. I will admit that I played this game for far longer than I thought I would. I liked the way that the game played, and I will admit that I had a lot of fun with the various features such as Free Spins and Pick’em Bonus Round. I ended up playing The Osbournes pokie for about 45 minutes, during which time I hit multiple Ozzy Wild Symbols, got Free Spins, and ended up scoring a few nice takes using the Pick’em Bonus, which also tasked my reflexes as you have to be fast to grab big bonuses. 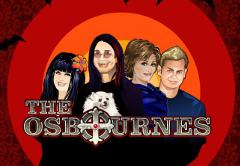 Overall, I really liked The Osbournes by Microgaming. I found the pokie to be a lot of fun, and thought that the music and animations were quite good. I also enjoyed the bonus features, which popped up frequently and caused me to walk away with a nice sized bankroll. I recommend you check out this game if you like The Osbournes televisioin show, and enjoy the craziness of the family.